Developmental dyslexia is a genetically based neurobiological syndrome, which is characterized by reading difficulty despite normal or high general intelligence. Even remediated dyslexic readers rarely achieve fast, fluent reading. Some dyslexics also have impairments in attention, short-term memory, sequencing (letters, word sounds, and motor acts), eye movements, poor balance, and general clumsiness. The presence of “cerebellar” motor and fluency symptoms led to the proposal that cerebellar dysfunction contributes to the etiology of dyslexia. 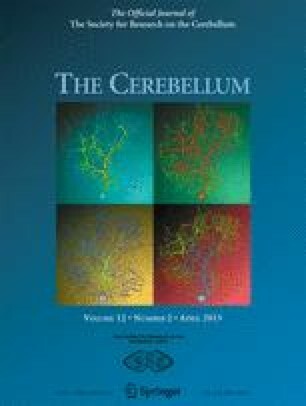 Supporting this, functional imaging studies suggest that the cerebellum is part of the neural network supporting reading in typically developing readers, and reading difficulties have been reported in patients with cerebellar damage. Differences in both cerebellar asymmetry and gray matter volume are some of the most consistent structural brain findings in dyslexics compared with good readers. Furthermore, cerebellar functional activation patterns during reading and motor learning can differ in dyslexic readers. Behaviorally, some children and adults with dyslexia show poorer performance on cerebellar motor tasks, including eye movement control, postural stability, and implicit motor learning. However, many dyslexics do not have cerebellar signs, many cerebellar patients do not have reading problems, and differences in dyslexic brains are found throughout the whole reading network, and not isolated to the cerebellum. Therefore, impaired cerebellar function is probably not the primary cause of dyslexia, but rather a more fundamental neurodevelopmental abnormality leads to differences throughout the reading network. We confirm that there is no conflict of interest, financial or otherwise, which might bias this work.